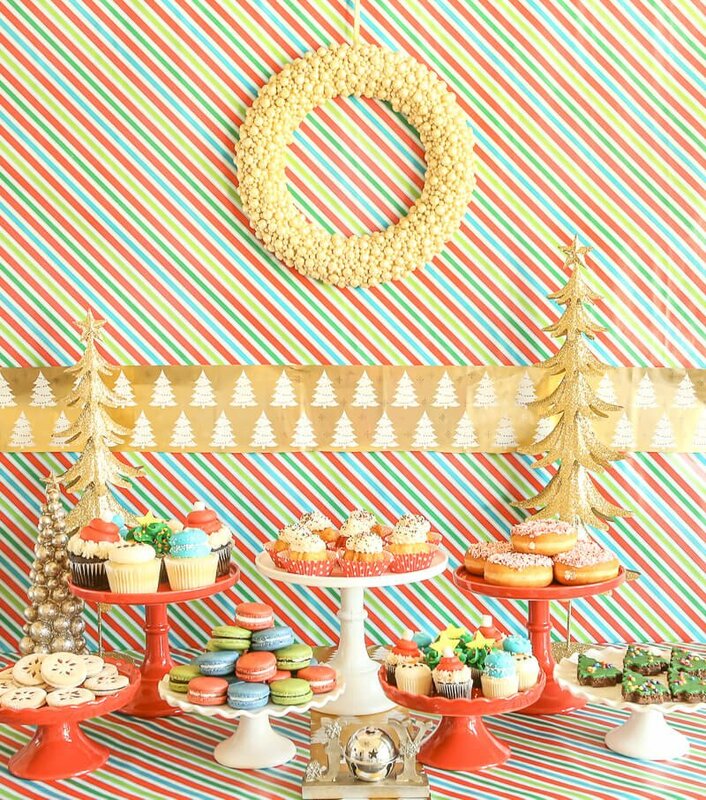 These 12 days of Christmas party ideas are perfect for anyone looking for a unique Christmas party theme this year! 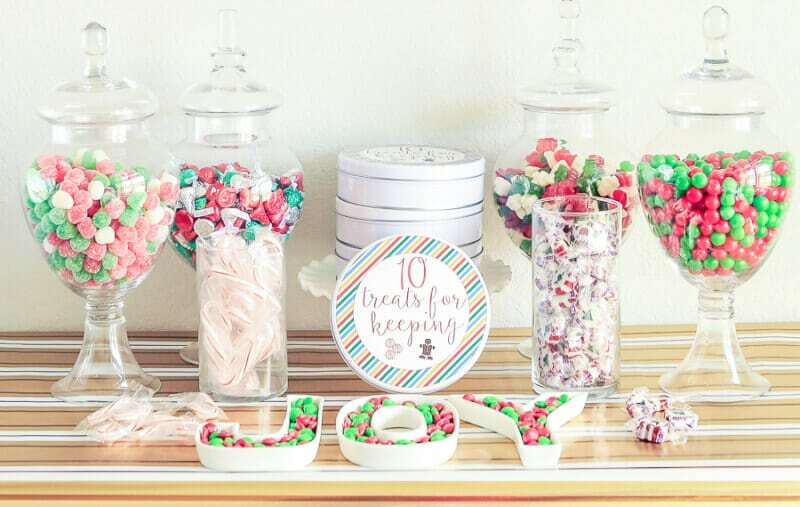 With tons of treat ideas, free printables, and even a 12 days of Christmas gift exchange game – it’s everything you need for one amazing 12 days of Christmas celebration! 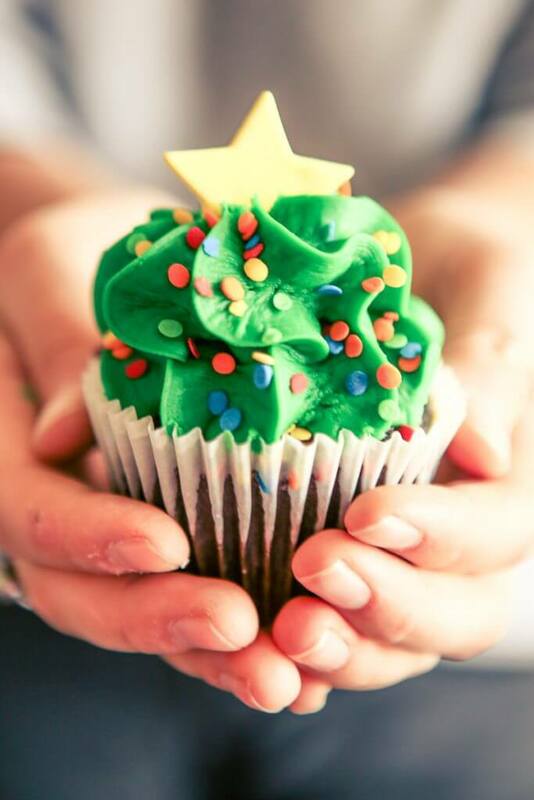 On the first day of Christmas, a fun idea came to me – a 12 days of Christmas party! For some reason I’ve had the 12 days of Christmas song stuck in my head all year long, so I decided to create my own version of the song and use it for a Christmas party theme. I started it out by sending the invite above that I designed and had printed on Shindigz.com. 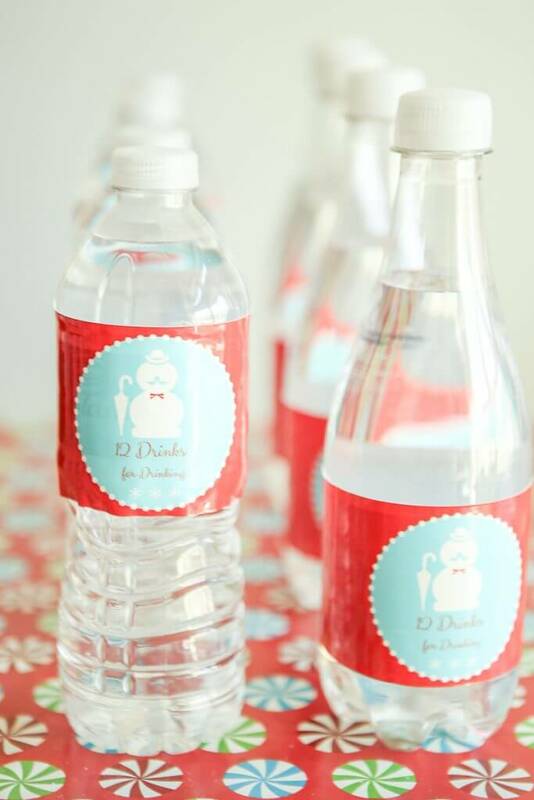 They’re great for personalized party supplies including everything from invitations to signs and even party favors. 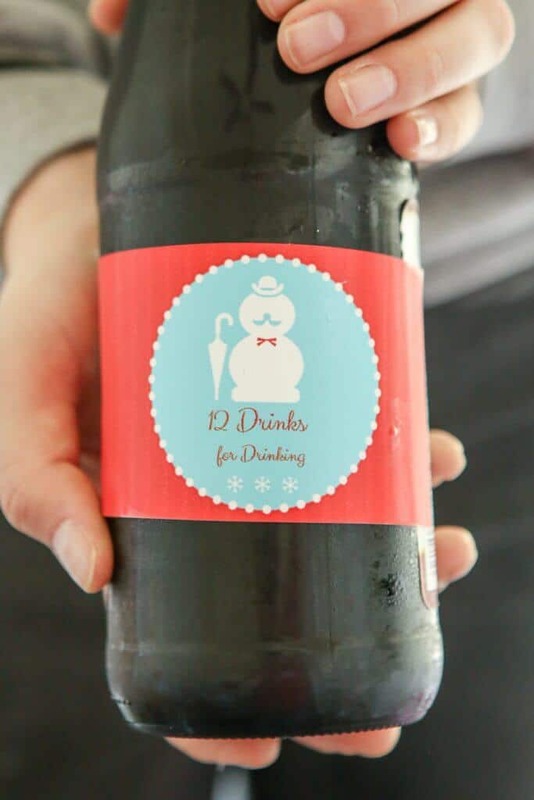 I’m a huge fan of creating custom or personalized things for your party; it just gives it that personalized touch so your party is like no one else’s. I also included a little card inside with the date, time, and address. If you’re just looking for the 12 days of Christmas gift exchange game idea, click here to skip right to it! For my 12th day, I setup a 12 drinks for drinking table complete with, you guessed it, 12 different things. 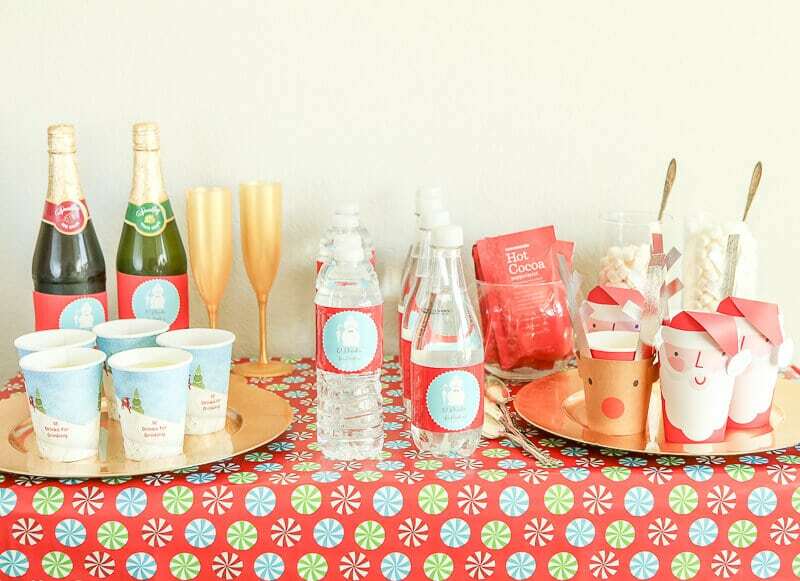 Two types of sparkling cider (with these gold champagne glasses), a handful of punch options like this Christmas punch, waters, and all sorts of varieties of hot chocolate. 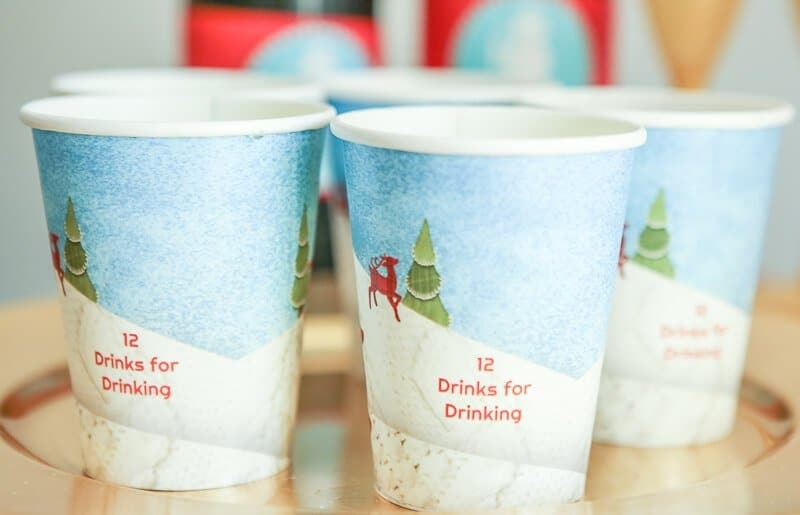 To stick with the theme, I customized these snowy scene cups and these bottle labels with the “12 drinks for drinking” lyric. The labels were so much better than just printing your own and taping them on. They were more like a vinyl that are already sticky. Just pull off the paper and stick right on. I used them on still water, sparkling water, and my sparkling cider. I’m a huge fan of gift exchanges and not the typical white elephant ones either. 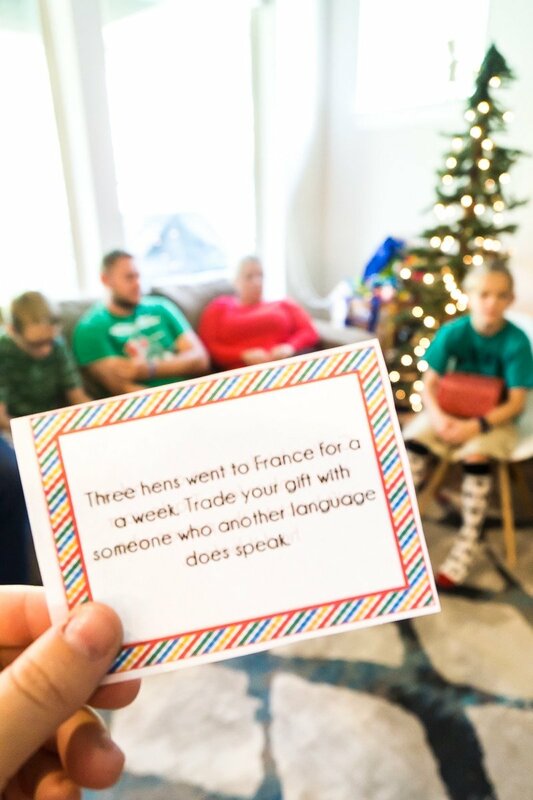 For my 11th day, I asked guests to bring a wrapped gift and we played the fun gift exchange game below. 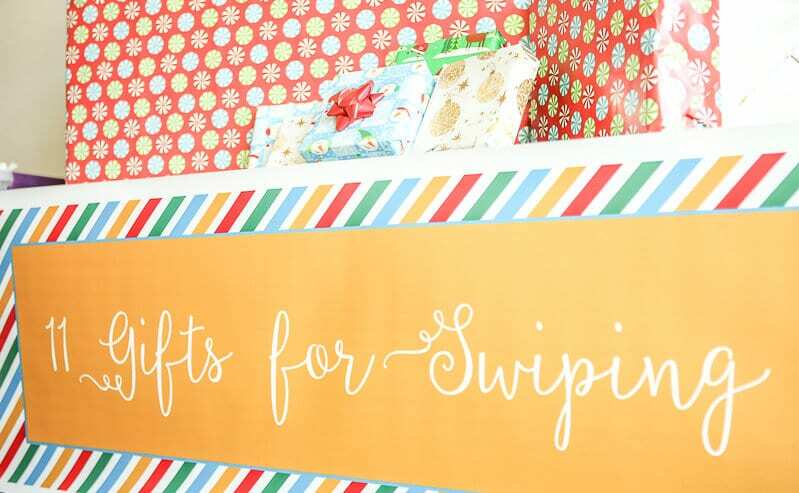 I created a big banner that said, “11 Gifts for Swiping” so people knew which table was for the gift exchange gifts. Designing the sign was simple. I just put together a design, uploaded it to the Shindigz website in their create a banner item, and hit create. And a few days later, I had the perfect banner for my party. It was fun to do something different that still had people swiping gifts without the standard draw a number version. I’ve got 10 other fun gift exchange game ideas as well, if you want to break the theme and go with something non 12 days of Christmasy. Keep reading below for instructions on how to play the game and the free printable gift exchange cards! This game goes great with these 12 days of Christmas games that are a bit more active! 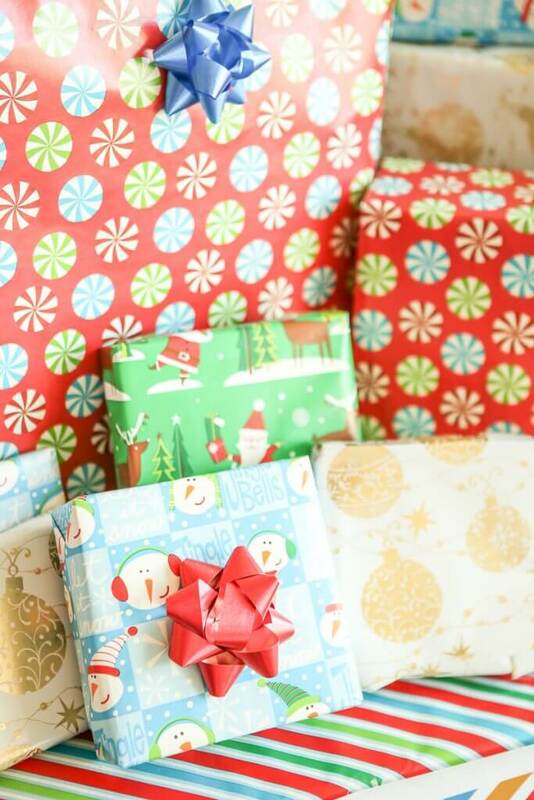 Ask everyone to bring one wrapped gift to the party. Have them place their gifts on the table (ideally the 11 gifts for swiping table). Print out the free printable 12 days of Christmas game cards below and put them in a bag or bowl. 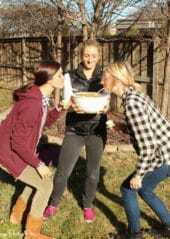 Write down pairs of numbers for each person playing (i.e., if you have 20 people playing, write down the #s 1-20 twice, then cut out and put in a bowl. Or alternately, pick out a set of matching playing cards from two decks of cards (i.e., A-K of hearts and A-7 of Spades). This is a much easier way to do this. When you’re ready to play the game, have everyone pick one gift from the table and go stand or sit in a circle. You need to be in a circle because some of the cards have the entire group do something like switch right or left, and you need someone on your right or left to do that. Make sure people know the gift you start with really doesn’t matter because it’s very unlikely to be the gift you actually end up with at the end of the game. So just pick something quickly and sit down. Pass out numbers or playing cards to everyone in the circle randomly. Once everyone has their playing cards, pick one from the matching set from a bowl or bag. Whoever’s card matches that one goes first. 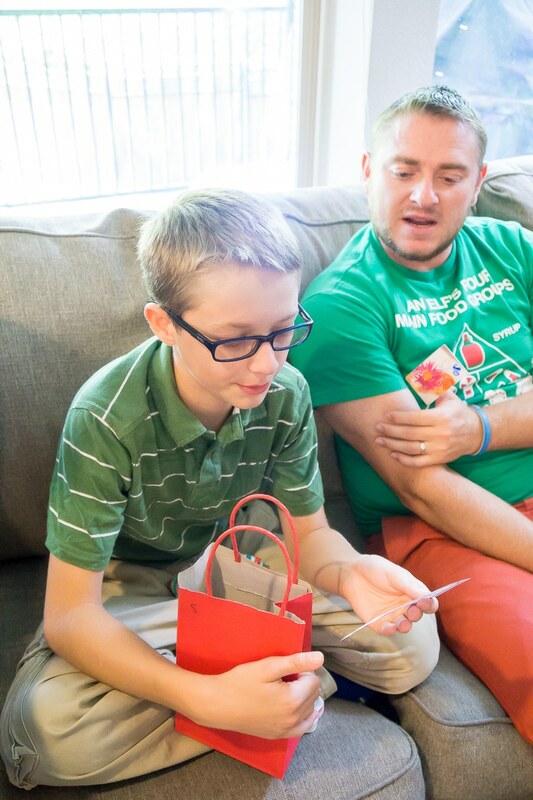 On their turn, they pick a card from the bag of game cards, read it out loud, and follow the directions on the card. If the card says that everyone does something, everyone does it. If it does not say everyone does it, then just the person who picked the card does it. If a card has the person trade with one other person, both the players involved with the trade should unwrap their gift after the trade. If a card involves everyone in the switch, only the person whose turn it is (that picked the card) should unwrap their gift. Everyone continues playing and switching wrapped and unwrapped gifts until the final person takes their turn then the game is over and everyone keeps their final gift. After they complete the action on the card, their turn is over. Pull another playing card or number and that person does the same thing. Keep going until everyone has had a turn. 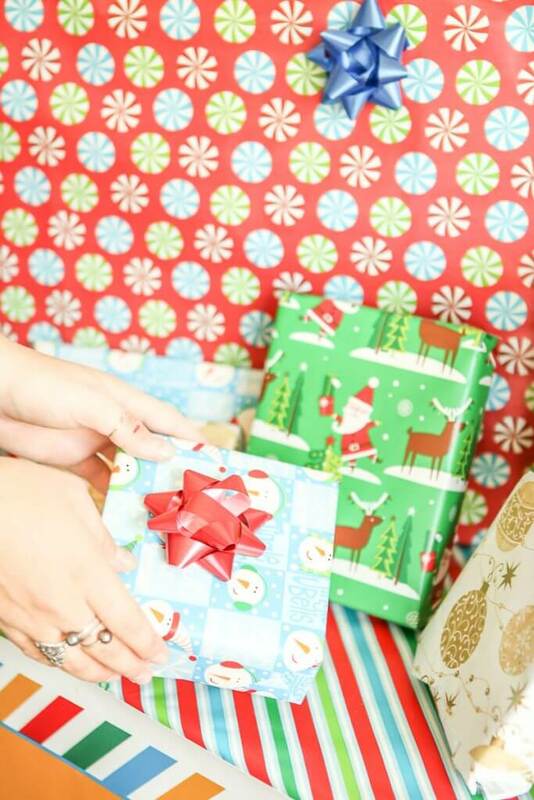 Watch the video below to see this 12 Days of Christmas gift exchange game in action! 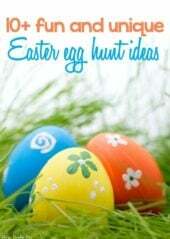 Enter your first name and email address below to get the free printable cards! If you do not see the form right below this, click here to get to it. Nobody really wants Lords a leaping, so I went with treats for keeping instead. 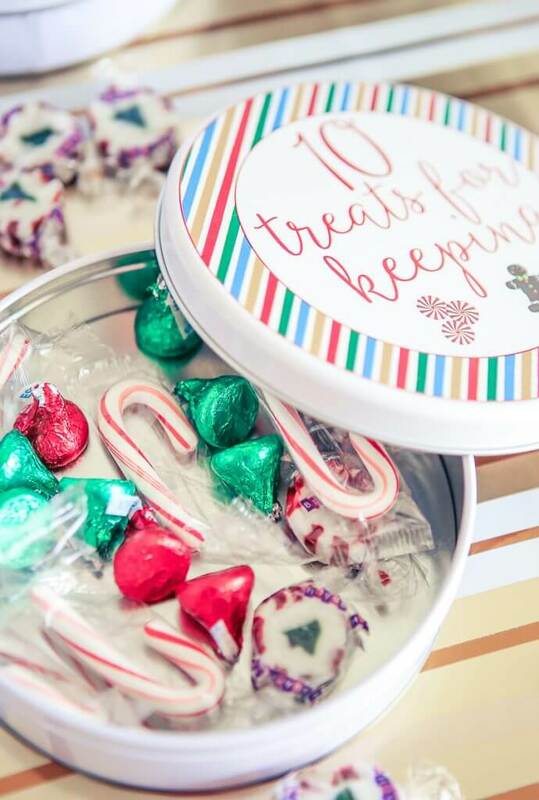 I created these mini cookie tins on the Shindigz website with my own design for people to fill up with their favorite holiday treats. One word of advice, go with the mini tins or else you’ll have people taking whole jars full of candy home. 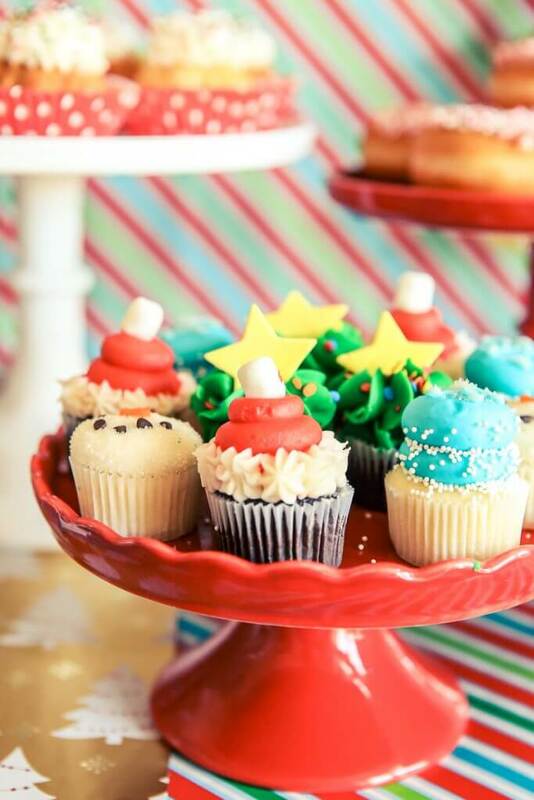 The mini tins were the perfect size for my holiday treats for keeping buffet. Behind the table I hung my new favorite Merry Christmas banner. It’s sparkly without any actual glitter! And with all of the glitter in my house right now, I’m excited for anything that doesn’t leave pixie dust behind. As soon as the party was over, it found a permanent home above my fireplace. This was an easy one – I just used my favorite Christmas playlist and encouraged people to dance. If people still aren’t dancing, just turn the Christmas music on and hope that the kids get the dance party started. 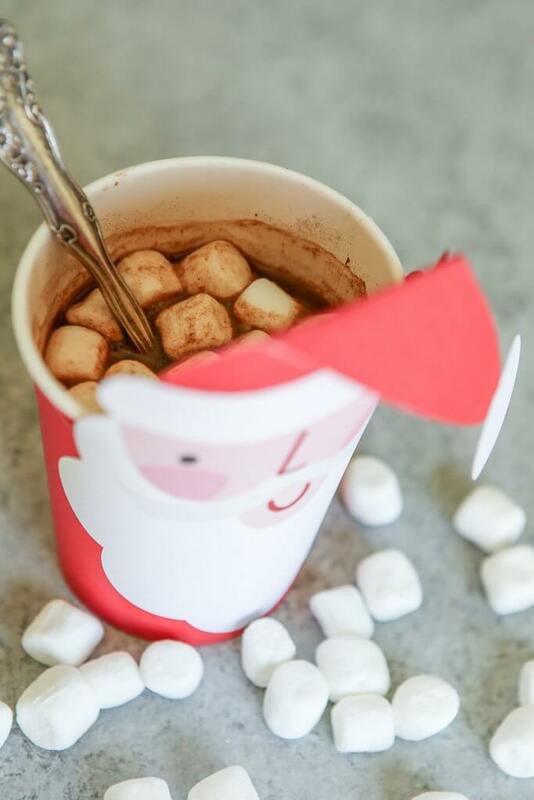 As part of my 12 drinks for drinking table, I set up a create your own hot chocolate section complete with various types of marshmallows, four hot chocolate flavors, spoons, and these darling Santa and Reindeer cups. 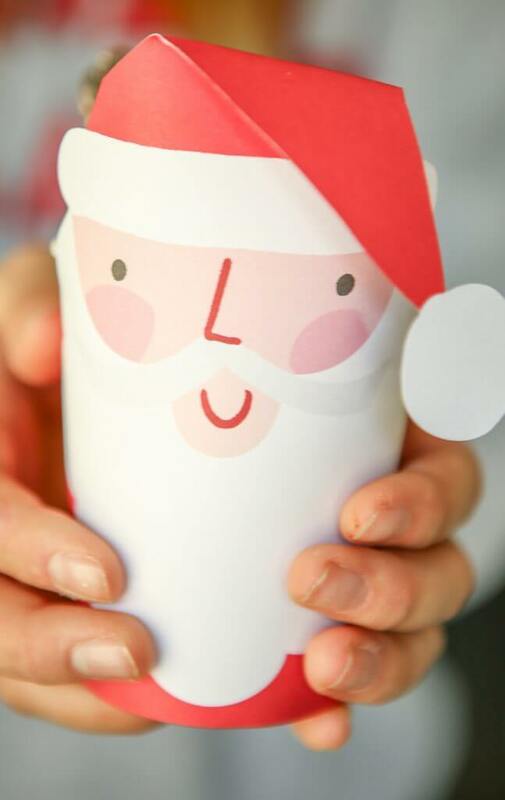 The cups come with the Santa and Reindeer wraps all ready to be added to the cups, so much easier than making them on your own. 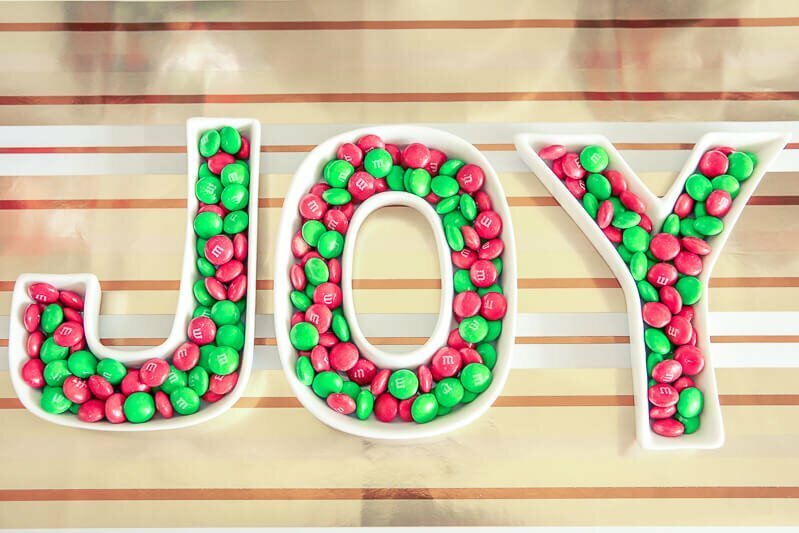 Just like with the dancing, bring on the Christmas music and get people to sing along. Or plan an entire game, like one of these ones, around singing Christmas songs. I love doing How Do You Doo to Christmas, it’s pretty hilarious! I’m a huge fan of Christmas party games and always like to have a variety of games to play. 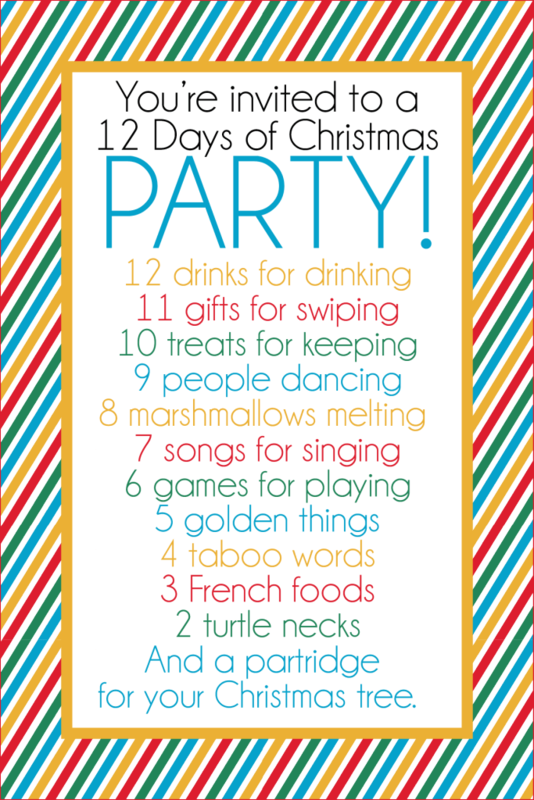 For this party, I actually created 12 days of Christmas games to go along with the theme! Get all the games here! I also did the gift exchange game I talked about already and two printable games from this list. I always try to provide a variety of games so people who LOVE games are happy and people who will play but mostly just tolerate them, are happy as well. For my main party table, I decided to stick with just desserts. 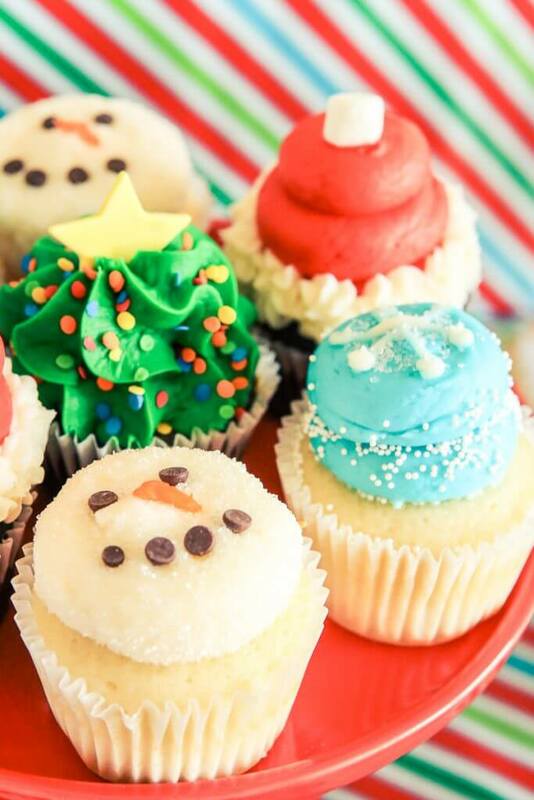 What’s Christmas without treats right? And instead of just decorating with the typical red and green, I went with red, green, blue, and gold as my accent color. Shindigz has a ton of different gold holiday decorations, but I decided to go with things that would work well in my own personal decor later. Might as well double up! I started by wrapping the table and the wall with some cheap wrapping paper to give it a festive look (and bonus, no ironing!). 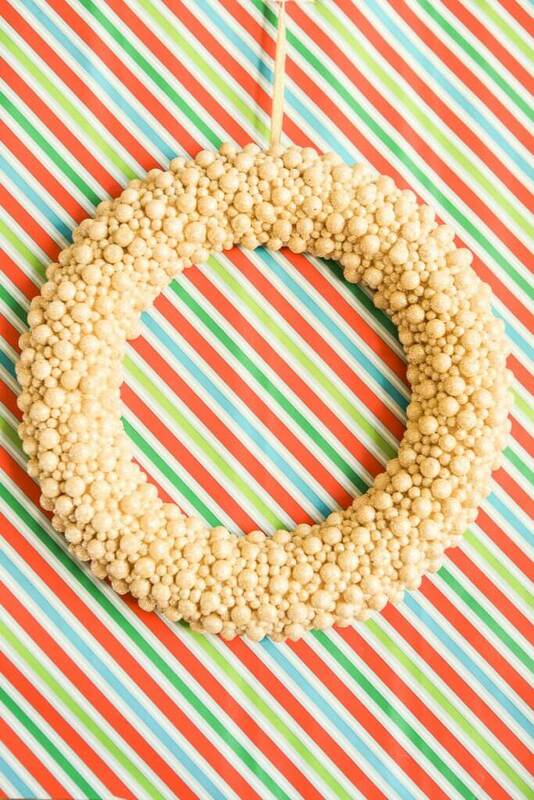 Then I hung this gold ball wreath (golden thing #1!) on the wall and added a little gold wrapping paper stripe to give the appearance of a wrapped present. Then on the table itself, I just added a a couple of glittery gold trees (golden things #2 & #3), a gold ball tree (golden thing #4), and this cute joy table sign (golden thing #5). Party tables don’t have to be complicated, and I think the simplicity of the desserts + gold things worked well. 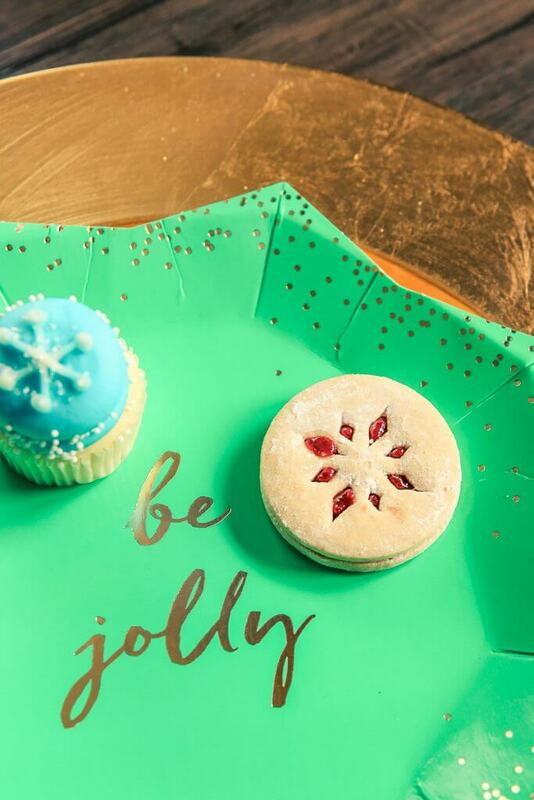 I continued the use of the gold throughout the party by incorporating these gold chargers throughout all of my tables and used these fun gold lettered be jolly plates for desserts. It was a simple and fun way to connect all of the elements together. One of my favorite games to play is one where you choose words at the beginning of the night that people can’t say. If they say them, they have to give away a particular object that they received at the beginning of the night to the person who heard them say a taboo word. 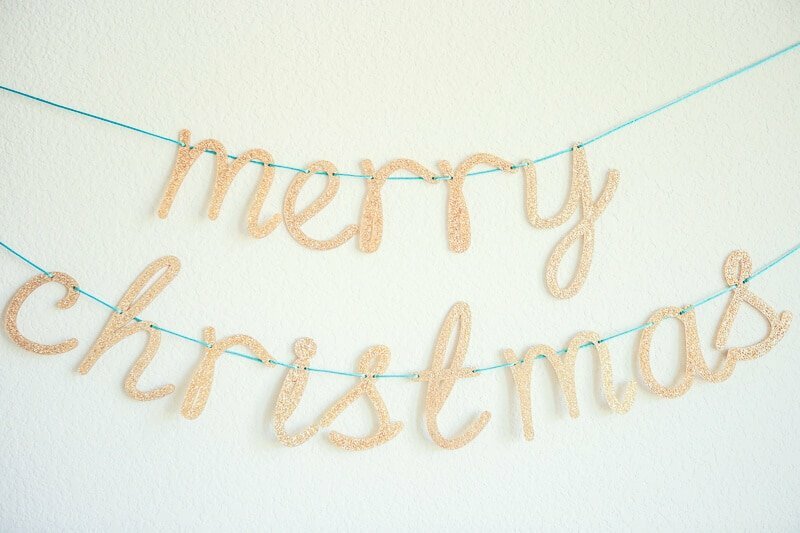 For this particular party, our words were Christmas, holiday, Santa, and gift. If anyone said any of those words, they had to give their ornament to someone else. And at the end of the night, the winner went home with all of the ornaments for their own Christmas tree as well as a gift card for being the big winner! Forget the French hens and go with French foods instead. 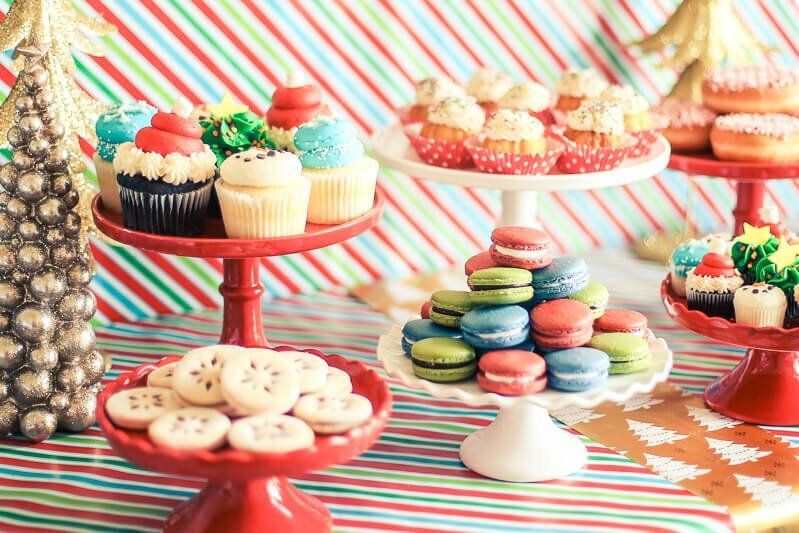 I chose macarons because they’re my favorite but you could easily do French breads + dips, cheeses, or a variety of pastries. Just pick one theme and go with it. 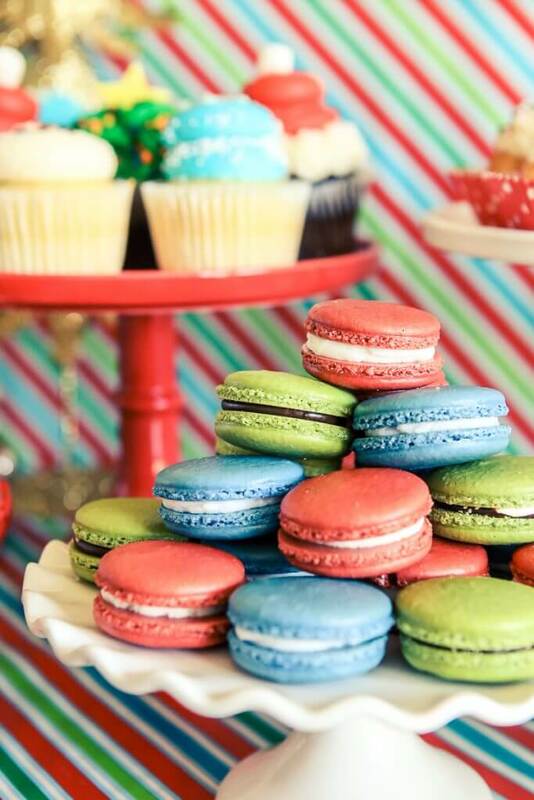 I went with macarons and supporting desserts for my dessert table, and they were delicious! This may have been my favorite. Instead of asking people to wear ugly sweaters, we encouraged turtlenecks. We ended up with a handful of people in ugly sweaters, a couple in regular holiday outfits, and at least two in turtlenecks. 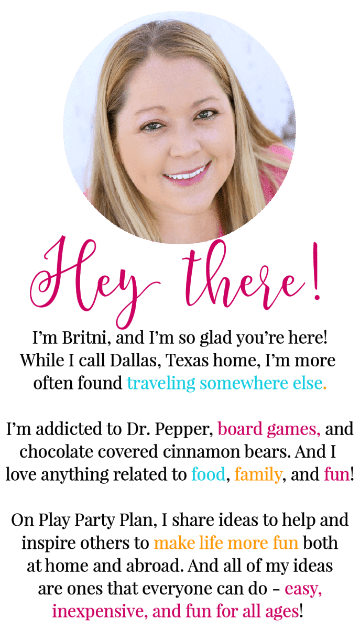 Last but not least, I created little stickers on the Shindigz website that said, “A partridge for your Christmas tree.” I found these little gold (yay!) 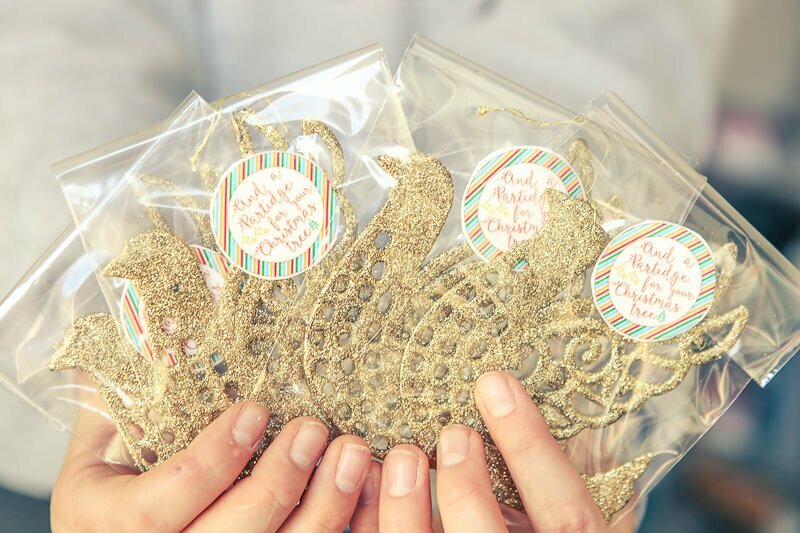 bird ornaments, bagged them up, and added the little stickers for the perfect party favor. Who doesn’t love getting new ornaments? If you’d like the printable files I used in the correct sizes for the Shindigz create a design options, email me and I’ll send you the zip file with everything. I’ve been wanting to do something for our Christmas party that didn’t involve exchange a bunch of costly gifts. 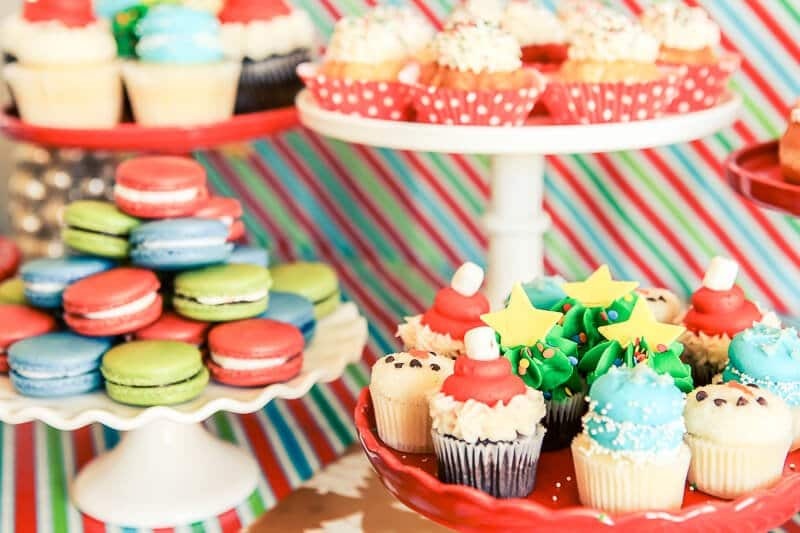 These party ideas are spectacular! 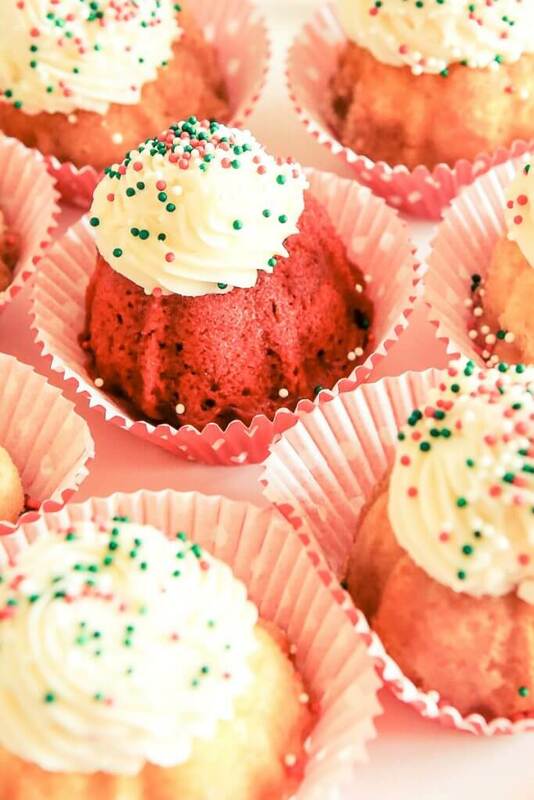 I can’t wait to share them with my party planner (yeah my hubby)! Oh this party is such an awesome idea! 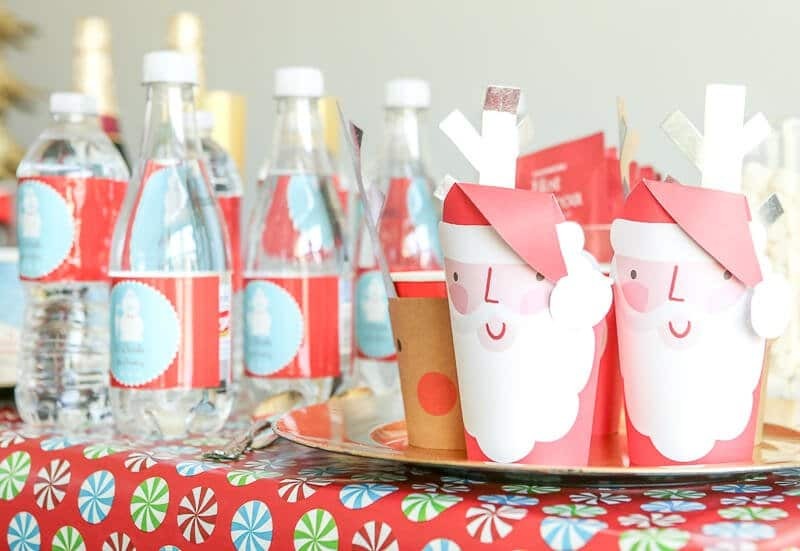 I love all the little details you put into this Christmas party idea, plus the printables. Thank you! I love hosting parties for my family and friends, but I just don’t do it as often as I would like. 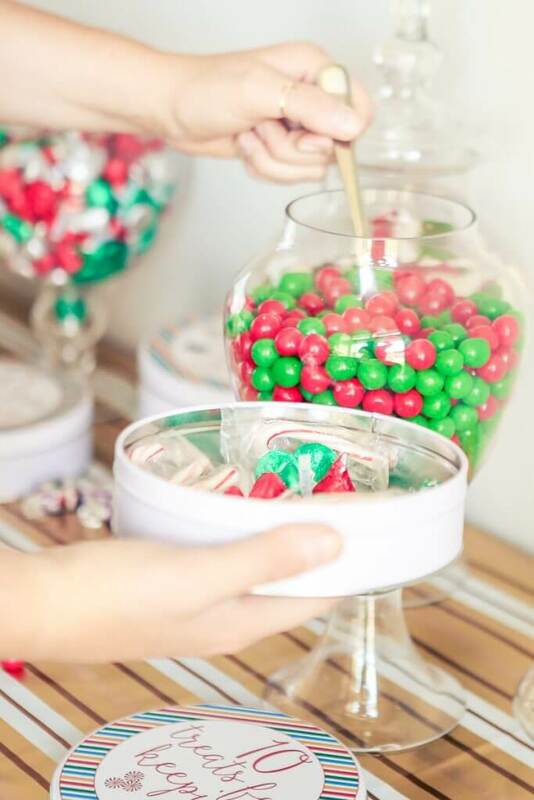 This party idea is absolutely genius and sounds like so much fun! Love all of the special touches. Question on the 12 Days gift exchange game. After people pull their card, does that card go back in the stack or hat or however you’re distributing them or is that card “out” so it doesn’t get pulled again? It depends on how many people you have playing Rebecca. If you have more people than cards, then have them put the card back into the hat. If you have less people than cards, then yes have them take the cards out of the hat. Does that make sense? Basically you just want to make sure that there are enough cards for everyone to draw. This is absolutely incredible- wow! Can you plan all my parties for me? I can’t find the complete list of the 12 days game…. Can you help? Roberta were you able to find it? I signed up for this sight and actually received two downloads. But, not the site doesn’t recognize my email and I can’t login. So sorry Jean, if you email me at britni @ playpartyplan.com I should be able to help you get it sorted out. Where did you find the Partridges? I believe I got them at Dollar Tree a couple of years ago. Do you by chance have any more sayings for the gift exchange? I know it;’s the 12 days of Christmas but we have a bunch more people in our family. Just have them put the sayings back in the bag after they pick them out and reuse. Where is the video of the 12 days gift exchange? I can’t seem to find the video. If you’re on a desktop, it’ll appear first at the top of the page and then the right side of the page. If you’re on a mobile device, it’ll appear on the page right under where I mention the video. Don’t close the video ad or it’ll also close the video! Hope that helps! This is so cute! 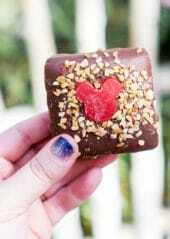 I love that you included a candy bar.